Launch the Algy 2 application on the ClassPad or Windows PC. 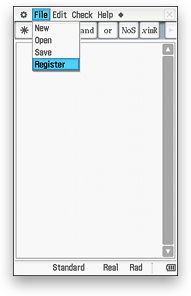 Tap on File, then tap on Register. 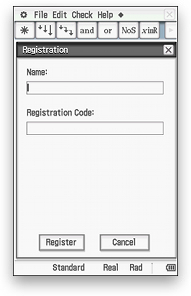 Type in the Name and Registration code sent to you by email (Step 1), then tap Register. All features of Algy 2 will now be enabled.